Are you suffering from extreme exhaustion and can’t get out of bed in the morning? Do you have deep muscle and joint pain that is disabling? Are you frustrated with visiting multiple specialists who don’t offer effective treatments and feel hopeless? You can take back the quality of life you deserve. Chronic Fatigue Syndrome (CFS) and Fibromyalgia are real conditions that are often difficult to diagnose due to lack of standardized testing. Traditionally they have been poorly treated by the medical community and often unrecognized as a true medical diagnosis. Most symptoms are invisible to others, making it difficult for family members and friends to understand your challenges. There is a wide difference of opinion on the two conditions, even amongst medical experts. Most would agree that they are similar, if not related, like two branches off the same tree. Many of the symptoms overlap, however in Chronic Fatigue Syndrome, the primary complaint is one of profound fatigue and exhaustion, whereas in Fibromyalgia, deep and widespread pain down to the bone is the overriding factor which can take over your life. Pituitary and Hypothalamic Dysfunction which are key in regulating hormones as well as the nervous system and sleep. Hormonal deficiencies, with thyroid and adrenal hormones being most commonly affected. This in turn directly affects the body’s ability to make energy. Learn more here. Poor digestive health can negatively affect the body’s ability to absorb nutrients that are essential for cellular health, and can impair the body’s own immune function. Mitochondrial Dysfunction: The mitochondria are the engines of the cell and are essential in making ATP or energy at the cellular level. This translates into having more energy systemically. In Chronic Fatigue and Fibromyalgia patients, there are often fewer mitochondria and the ones remaining are often impaired. Chronic Fatigue Syndrome and Fibromyalgia are complex conditions. A multisystem and an integrative approach to treatment will provide you with options that are not offered by traditional physicians. This requires specialized training, and identifying the root cause, not just focusing on symptoms is of utmost importance. At New Spring Integrative Medicine, Dr. Sainer treats the whole person, addresses the hormonal deficiencies, cellular dysfunction, digestive health and the immune system simultaneously. Treating things in isolation does not work since all the systems in the body are intricately intertwined. Treatment plans are customized and vary from person to person since there are no two people who are the same. Due to the complexity of the illness, a great deal of time is spent with each patient to best understand the issues and to begin your road back to health. You can get your life back! 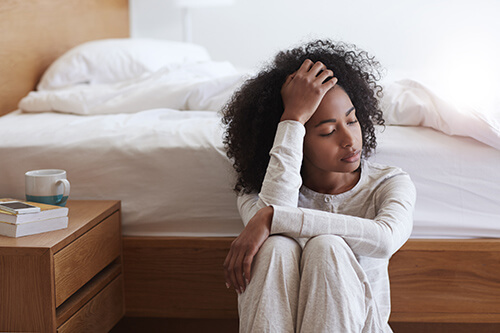 See our article on Chronic Fatigue Syndrome.